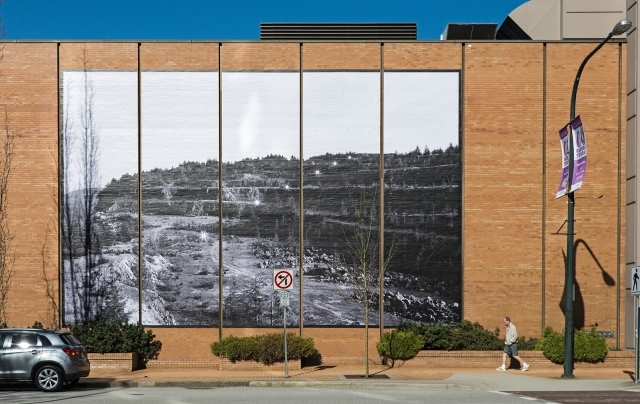 James Nizam’s public artwork, entitled Heliographic Scale (2017), has been installed as the backdrop of the Telus Building in New Westminster for one full year. 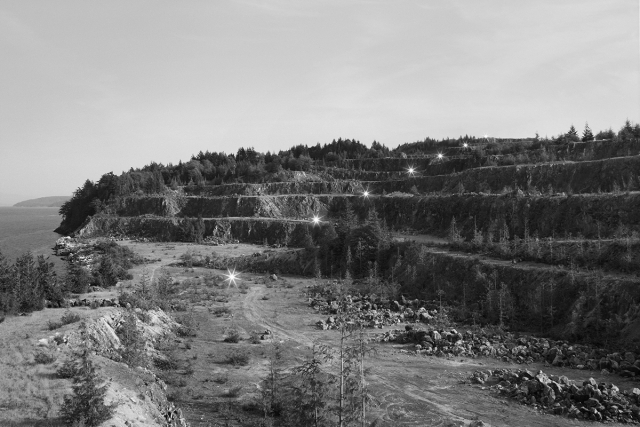 On the stave-like tables of an abandoned limestone mine on Texada Island in the Strait of Georgia, a sequence of flashes bursts across the quarried landscape by means of the sun. Utilizing the shiny surface of a stamper plate (used to impress grooves during the production of vinyl records) as a reflecting disk to transmit sunlight toward the camera, Nizam orchestrated an ascending “scale” of star formations, which he has recorded within a panoramic view. Capture Photography Festival and the City of New Westminster Public Art Program invited photographers to submit proposals for a public artwork that considers the theme of “traffic” and its different interpretations, from the physical sense of moving goods, people, and vehicles to the virtual exchange of information through digital services. 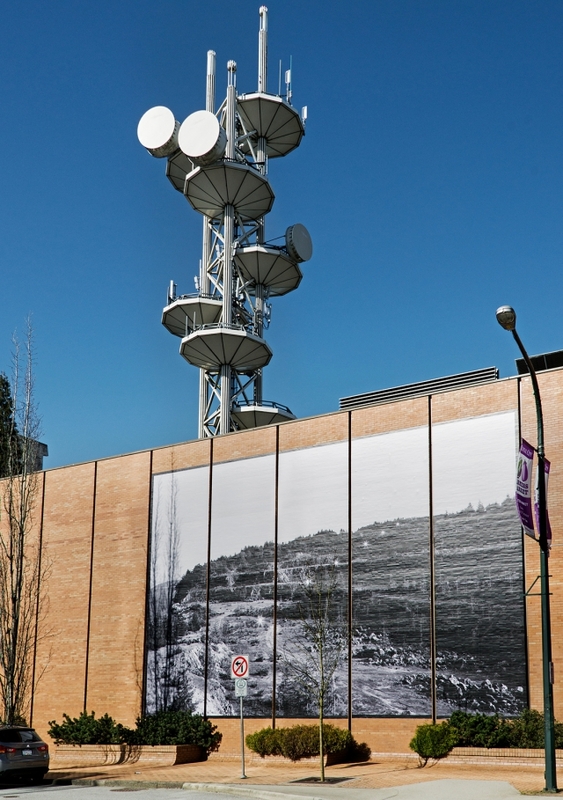 The installations are sited across two locations in New Westminster.